For those of you who have as poor Geographical knowledge as I do, Penang is an island attached to the coast of northwest Peninsular Malaysia by a bridge. It was the fourth stop on our Southeast Asian travels, and one I was extremely excited about. We travelled to Penang by coach from Kuala Lumpur, and it was another journey we didn’t bother to book in advance, as there were coaches between the two multiple times every hour. The journey was supposed to take five hours, but it ended up taking about seven, due to a long (and unexplained) stop about an hour in. 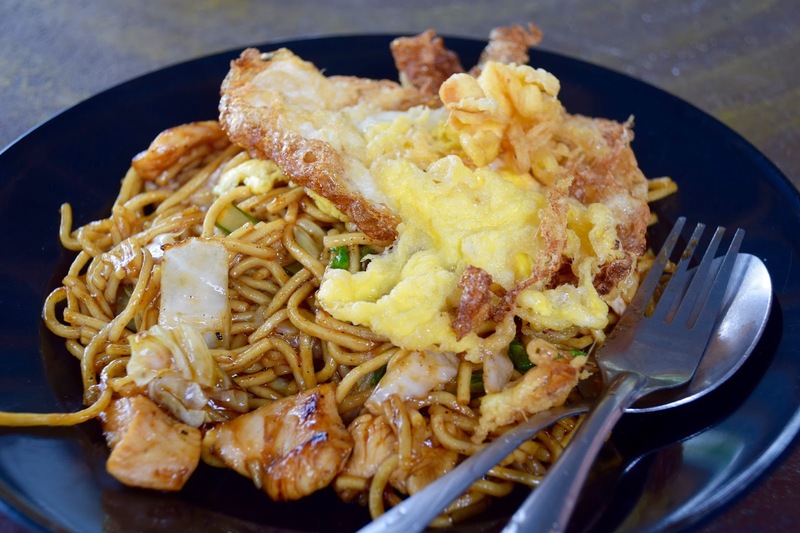 George Town is the best place to stay in Penang; it’s the capital of the state and it’s one of the oldest towns on this part of Malaysia, so there is a lot to see and do. George Town is a fair distance from the bus terminal, and we shared a taxi with some other travellers on our bus, which I would definitely recommend doing to lower the cost. We stayed in Chulia Heritage Hotel, and I’m still amazed that this was within our budget. The whole hotel was so white and clean (the blogger’s dream, eh), and the shared shower rooms were probably the nicest we had in the whole of Southeast Asia. I’m gutted that neither of us took any photos of our accommodation, but I briefly show it in my vlog if you want a nosey! The staff were also really helpful and friendly, and rushed up to help us when a baby bat needed rescuing from the light in our room. Yep, it was just as cute as it sounds. The next morning we had breakfast at The Tavern, before spending the majority of the day wandering around Georgetown, searching for some of the amazing street art which covers many of the buildings. We still had some time left in the day when we finished, so decided to go to Penang Hill. After many mixed instructions and half an hour of waiting in the wrong place for a bus, we panicked and hailed down a taxi. 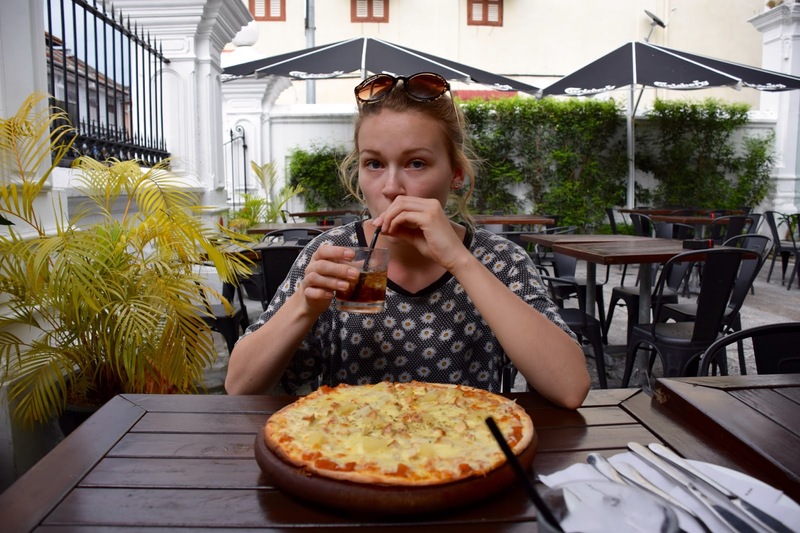 The taxi cost £4.50, and although that doesn’t sound too much, it took a reasonable chunk out of our daily budget, and it’s definitely worth persevering with finding a bus, because our bus journey back to George Town only cost 30 pence. It’s a big difference! You have to get a funicular (aka a cliff train) up the hill for £4.50 per person, and although it’s extremely busy and bursting with tourists, the view is incredible. This was also our first experience of people asking to have their photos taken with us, something that I’m still bemused by. But it seemed that being British made you some kind of celebrity. That night we both fancied western food and we went for pizza and burgers at a place called the Reggae Mansion. It was free drinks for gals all night, so I had a few too many rum and cokes, and Tom reluctantly matched me with slightly more costly gin and tonics. When in Penang? The following day was hiking day, which meant fuelling up on bagels from Mugshot Café, before heading to the National Park. It’s quite far from George Town to the National Park, but there’s a bus that takes you directly there in an hour, and only costs sixty pence. There are a few options with what to do when you’re there, but we opted to hike to Turtle Beach, get a boat from here to Monkey Beach and then hike back to the start, as this seemed like the best way to see everything. The boat is quite expensive though, so it’s a shame we didn’t find anyone to share the £12 flat fee. The hike to Turtle Beach isn’t too tough, but I was glad we wore walking boots, and the as you can probably tell from the horrific photo, the heat and humidity does take it out of you. On Turtle Beach there is a little turtle sanctuary that had older turtles as well as some which had hatched the day before. You could also learn about the measures they put in place to protect the turtles and enhance their chances of survival before they are released back into the wild. By the time we got to Monkey Beach we were starving so we chose some food from one of the sellers on the beach. There are no roads to the beach; it was definitely one of the most remote places we ate on the whole trip. On the hike back to the entrance of the National Park I got the scare of my life when three monitor lizards (the size of alligators) ran past us. After an extremely long and beautiful shower, we ventured back into Little India for a curry at Dindigul Biriyani, which was really good and super cheap. I really loved our time in Penang, and on reflection it’s one of my favourite places we visited in Southeast Asia. 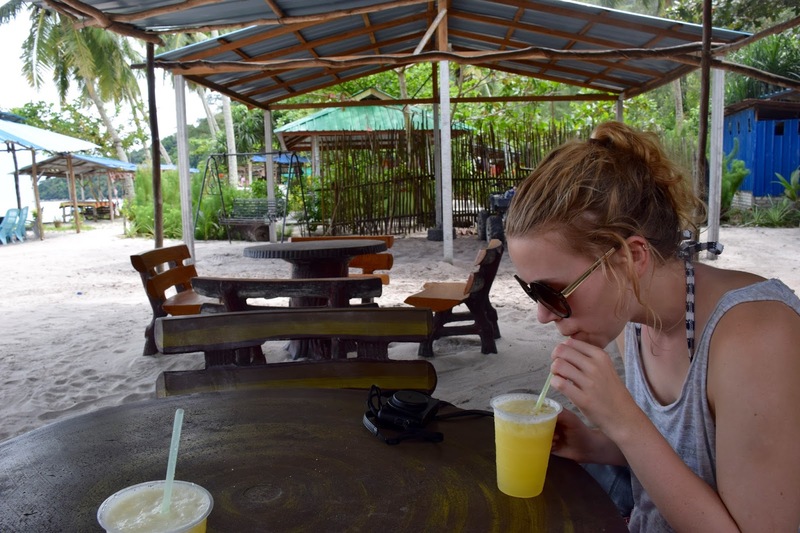 It was such a varied, interesting and exciting place to stay, and I couldn’t recommend it more to anyone who’s thinking of travelling in or near Malaysia. I also vlogged our stay, which gives an even better impression of Penang, so give that a watch and subscribe to my YouTube channel so you don’t miss the vlogs from the rest of the trip!